Sometimes I get ideas for new weaving projects in the oddest places and from the most unlikely sources. While browsing the American Airlines inflight magazine on one of my flights over a year ago, I came across something which planted the seed of an idea. No, it wasn’t an article showing stunning landscapes from some exotic holiday destination, nor was it an article about textiles and fashion or a gallery review. 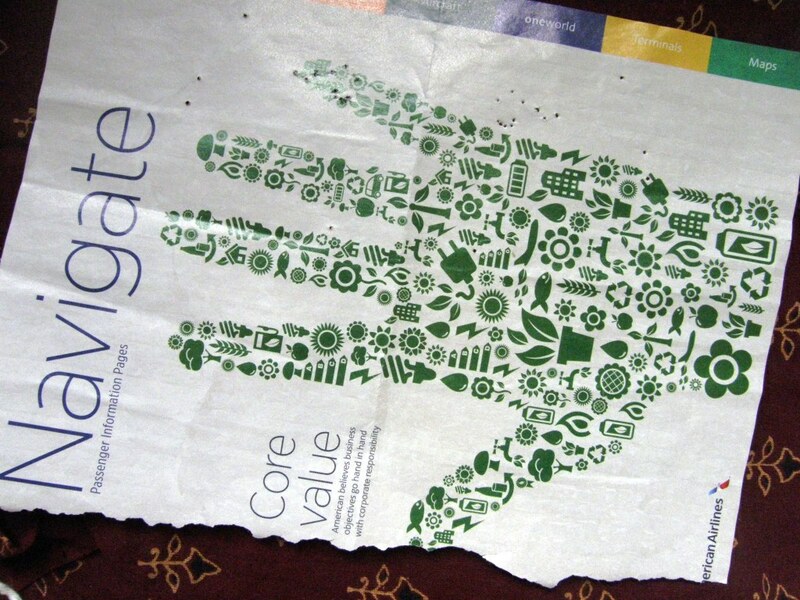 It was a simple image on the title page of the Passenger Information section of the magazine. I didn’t want to have to lug the entire a magazine around with me so, out came the page, and I added the idea to THE LIST…that collection of scribblings in my note pad of ideas for future projects. I liked the idea of having a collection of tiny motifs contained within a shape…not necessarily a hand…but some kind of shape. 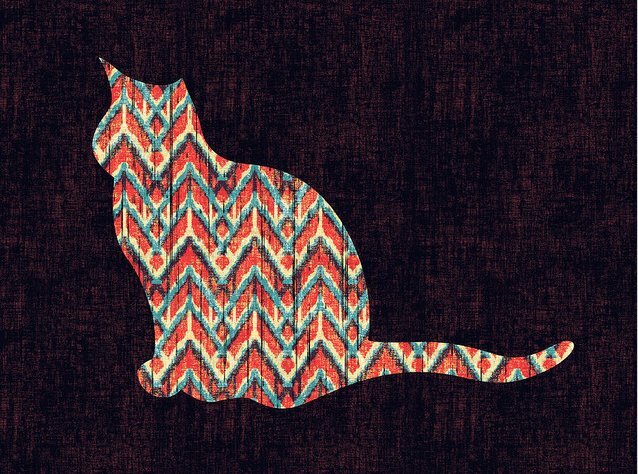 Later, while Googling around for ikat images I came across the fun image of a cat on fineartamerica.com. All those colors contained within a shape on a black background fascinated me. 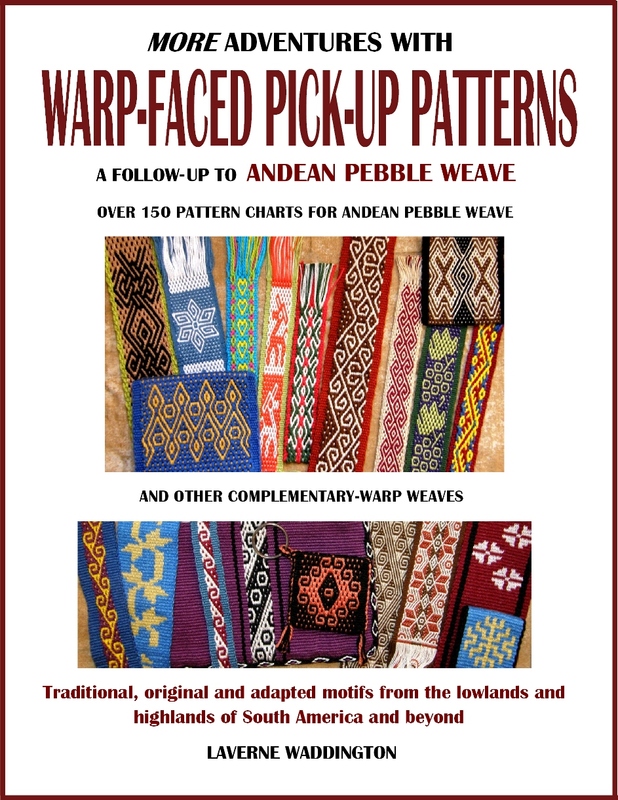 I started to think about weaving motifs in three or four-color pebble weave or brocade within a shape. I love the way the colors leap out from the solid-color background. 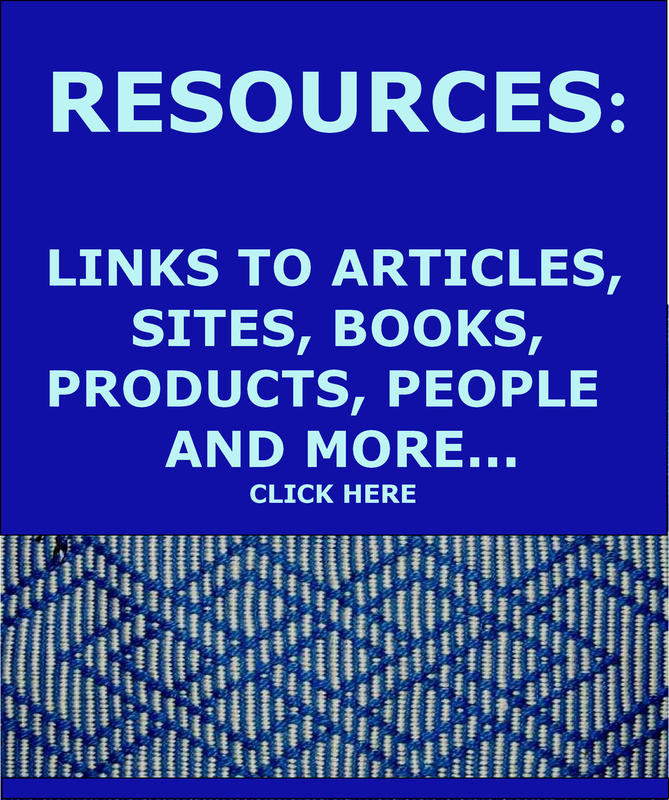 contained within a large circle against a black background. 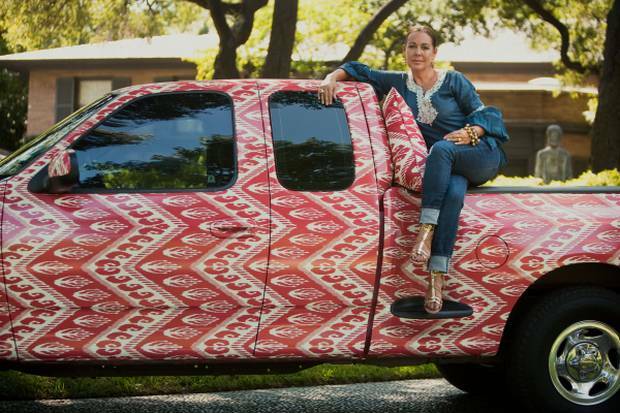 Michelle Nussbaumer’s ikat pickup truck from the Dallas Morning News. It isn’t quite what I had in mind. 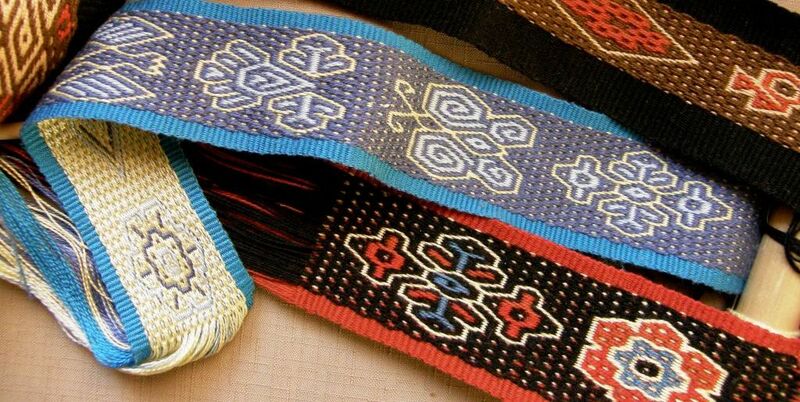 This is ikat within a pickup (truck). 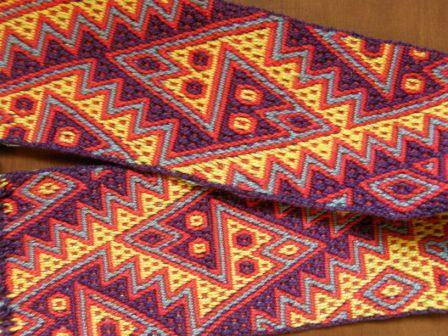 I want to do pick-up within ikat! I was silly enough, while working on my most recent wall hangings, to think for a second that I was being innovative by using brocade and ikat on the same piece. Of course I wasn’t!! 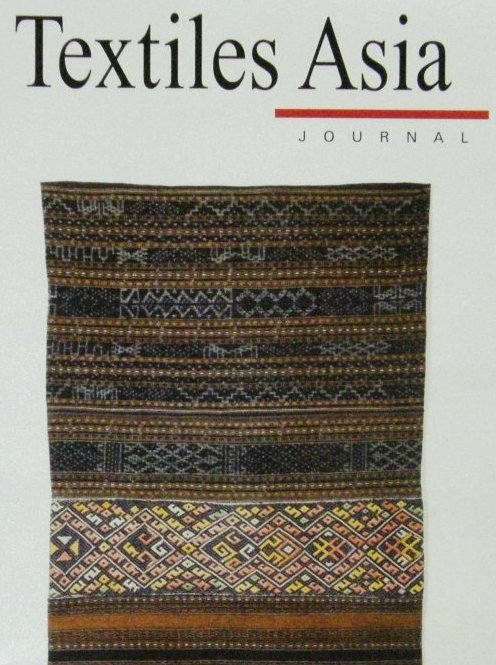 Textiles Asia Journal September 2014. 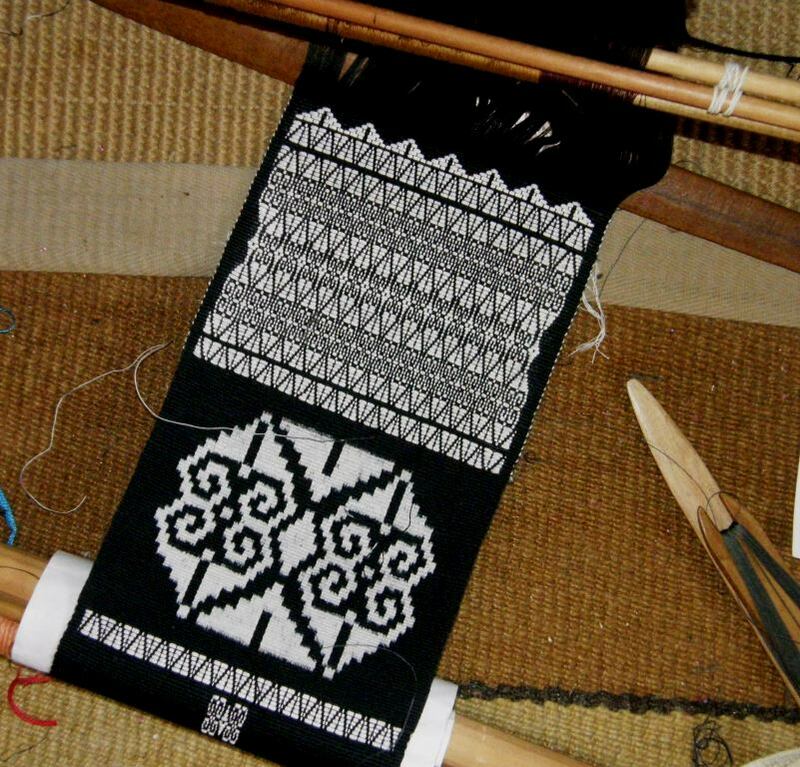 The actual ikat process had its usual set of challenges. The black dye seeped and stained some of the white thread yellow. I have gotten purple stains from black dye before, never yellow. But I have to say that I was pretty happy with the circle that I was able to create on a relatively small amount of warp ends. This new experiment will have big, bold, simple shapes so that I can simply concentrate on what I need to do to improve the way I apply the ties and reduce seepage. 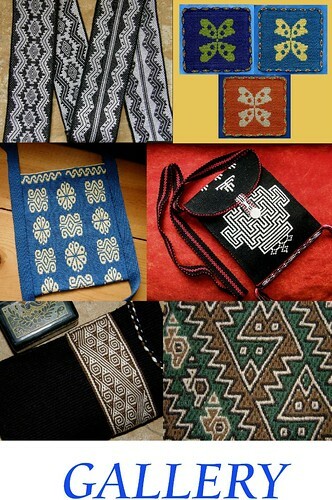 I watched a video on ikat artisans in Uzbekistan. 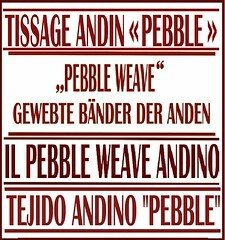 One of the design masters marked the pattern on the white warp as a guide for the people who would later apply the ties. 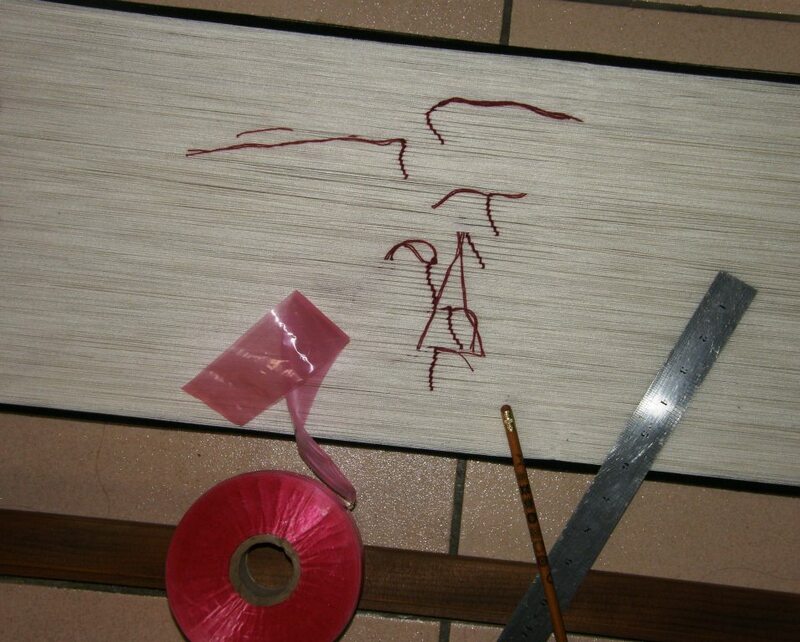 He simply eyeballed the spacing and quickly and efficiently touched his marking stick to the warp. Maybe after a few more decades of practice I will be able to do that too! Meanwhile, here I am armed with ruler and set square. 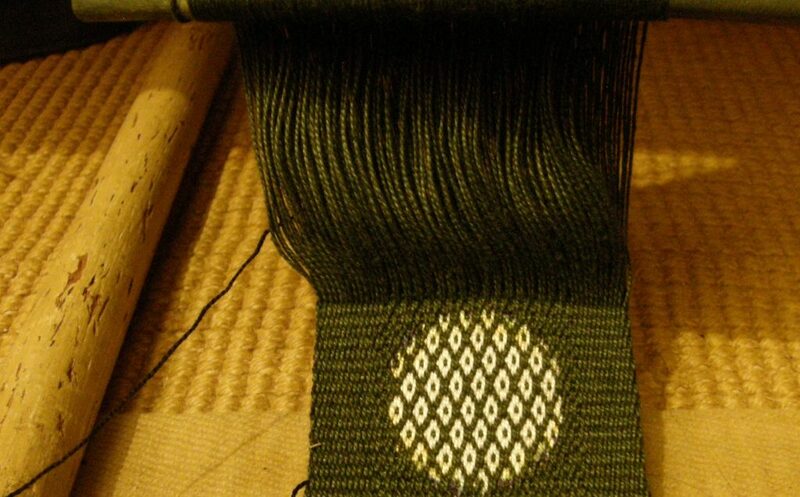 I don’t feel I can simply eyeball the pattern even though it is a ridiculously simple one. The thing that drives me crazy is that my eyes do not want to trust what the ruler and set square are telling me and I find myself measuring and marking and then measuring again. I have a new frame for stretching the warp and have set it up so that I can sit in front of it and have it at eye level (as the lady in this picture is doing) rather than having it lie horizontally with me doubled over it. 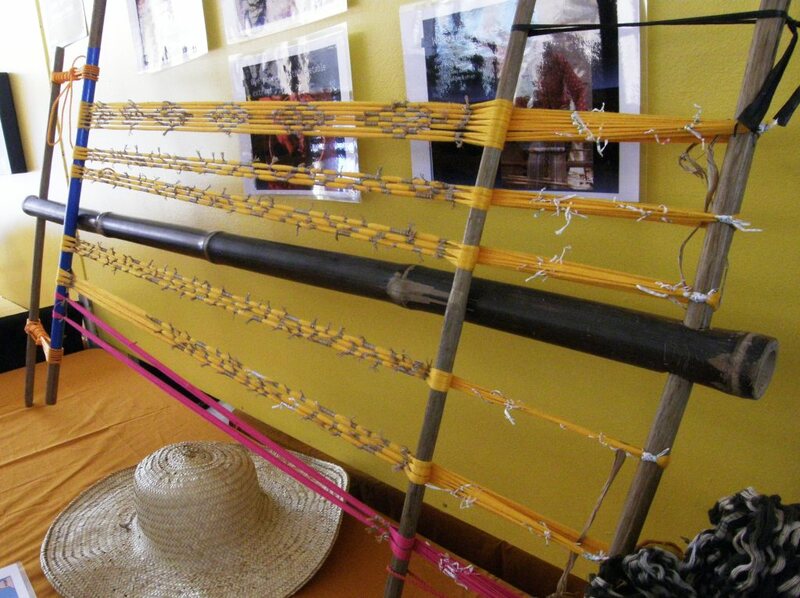 The ikat frame, above, is one that was on display in the Timor Leste stand at the Santa Fe International Folk Art Market in 2013. I see a couple more days of tying ahead. I am quite comfortable sitting up in front of my new frame. 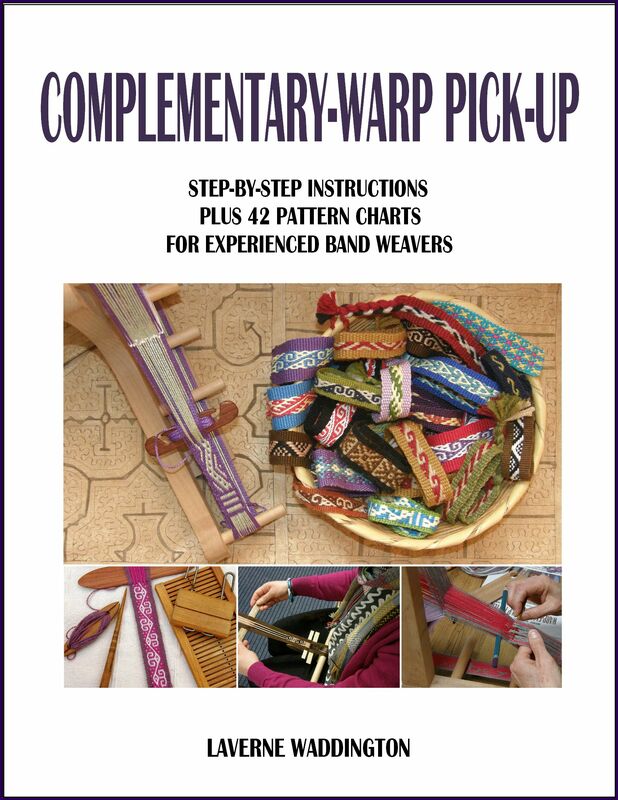 I am playing with a couple of other things on backstrap looms on the side as the tying is quite tedious and not something I can work on for hours at a time. 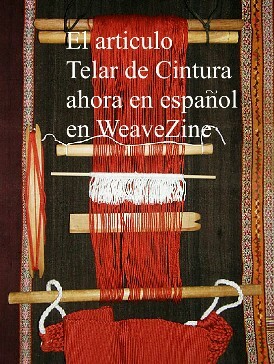 Hopefully, I will have this warp on a loom with something to show you next week. Next Thursday…that will be Christmas Day…I almost forgot! I wish you all the very best. Merry Christmas to you. Some day I might try this….. Thanks again for the inspiration! 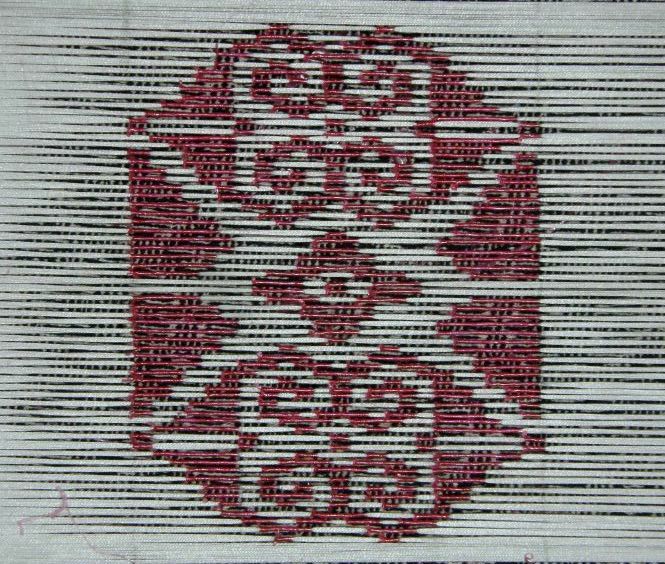 if you’d like to see some other exquisite ikat shapes. Don’t think I’ll fork over the $1500 for it though! Thanks, Gwen. Looking forward to seeing you and your ergonomic bench.